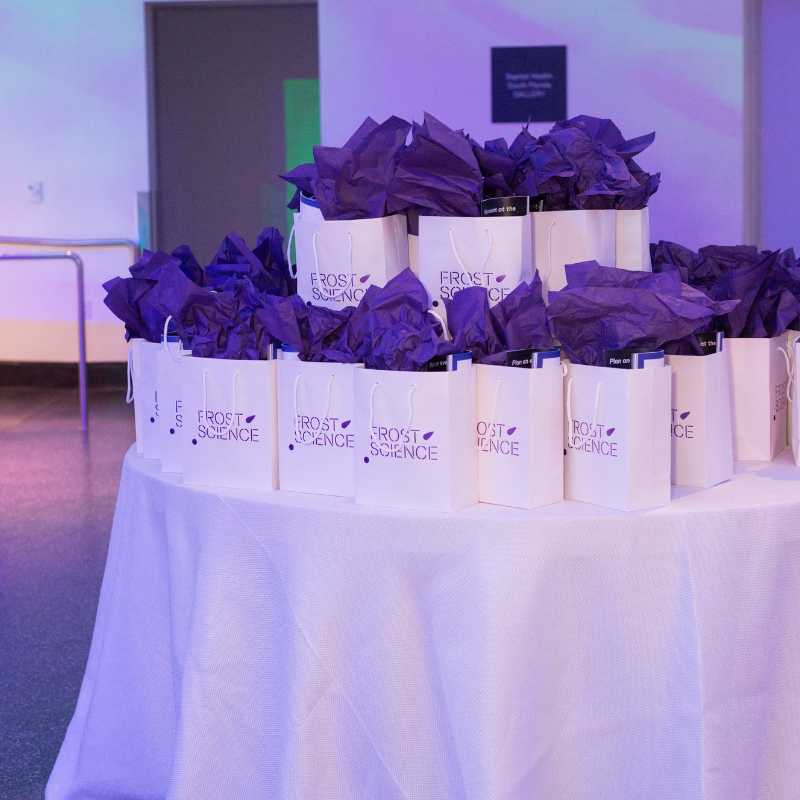 Sweeten your event with interactive extras and upgrades. Put on your thinking cap and explore the science behind engineering! 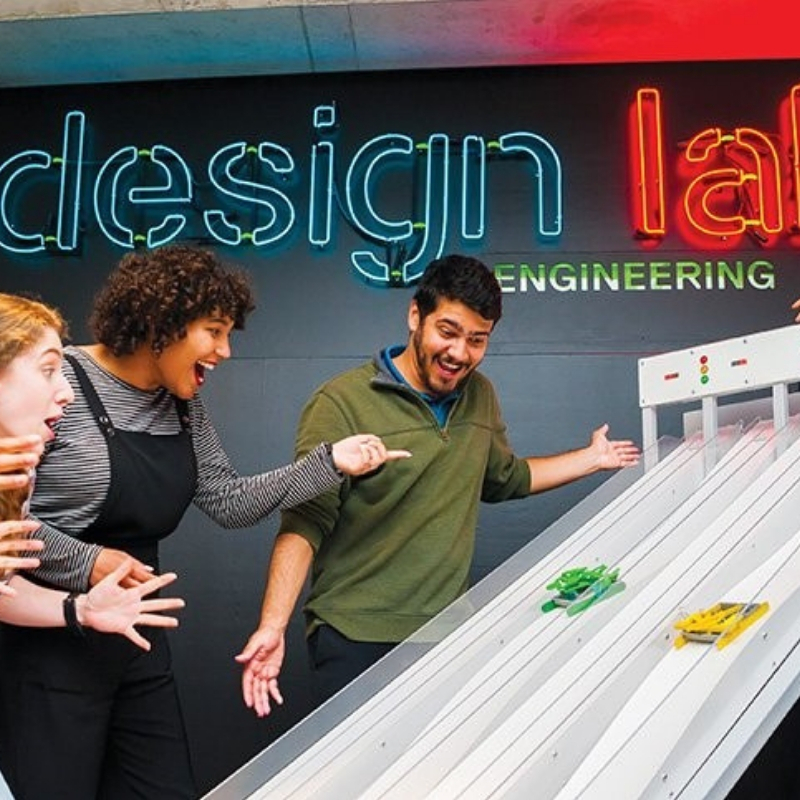 Part exhibition, part laboratory, Design Lab: Engineering presents you with the challenges engineers face while putting your critical thinking skills to the test in a laboratory setting. You can also opt to have your team dissect a squid or learn more about this invertebrate during a fun and hands-on experience. 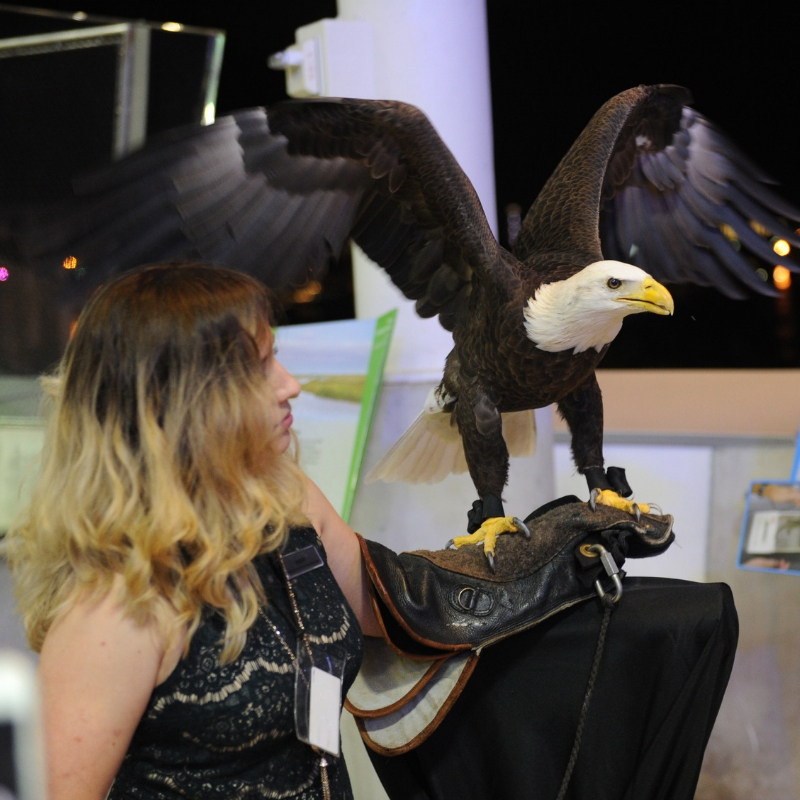 Come face-to-face with some of the birds and reptiles that call the museum home while a member of the animal husbandry team guides your session with informational tidbits. 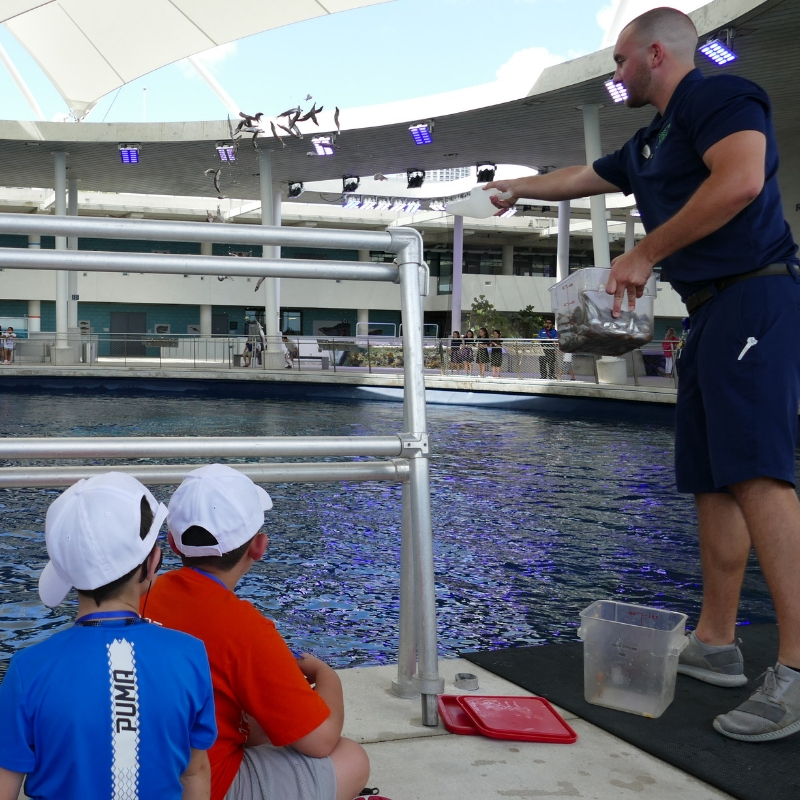 Take your group of ten or more through the depths of South Florida’s ecosystems with a guided tour through the Aquarium, including an inside look on how we prep our animals’ meals. Participate in a TED-style presentation with one of our knowledgeable scientists and staff members on topics ranging from astronomy to coral reefs. 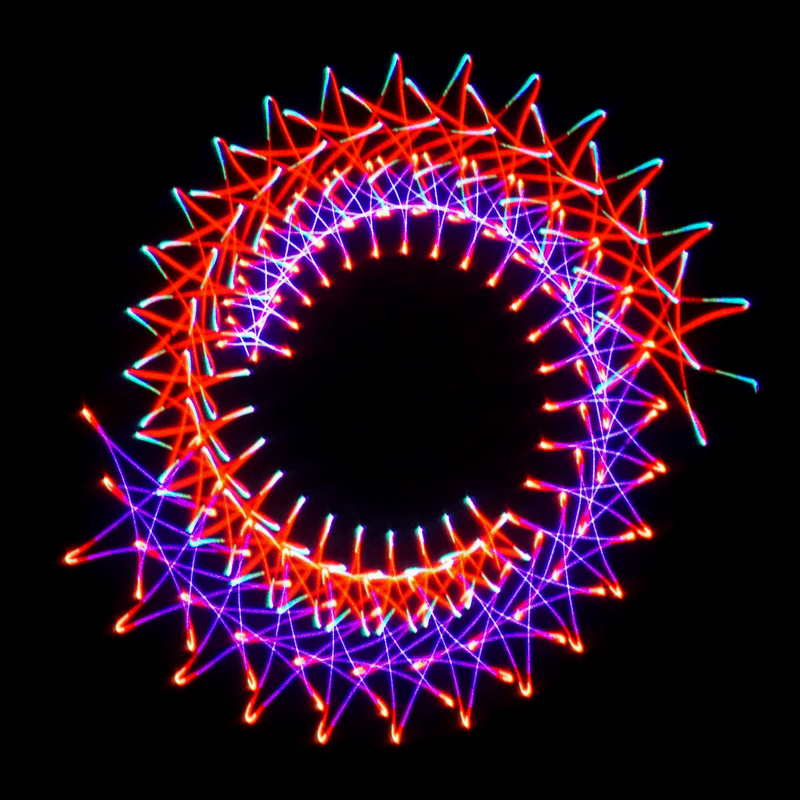 Impress your guests with a rockin’ retro throwback to the classic laser light spectacles you know and love. 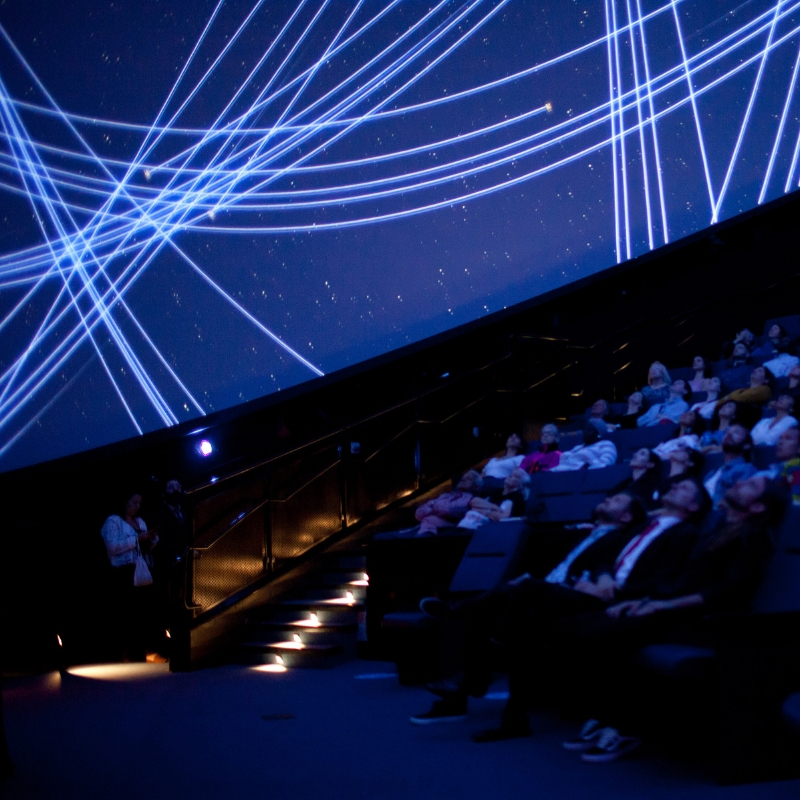 From Beyoncé to Michael Jackson, we’re fusing music from some of the greatest artists of our time with old-school laser light visuals—all under the Frost Planetarium’s 67-foot dome. 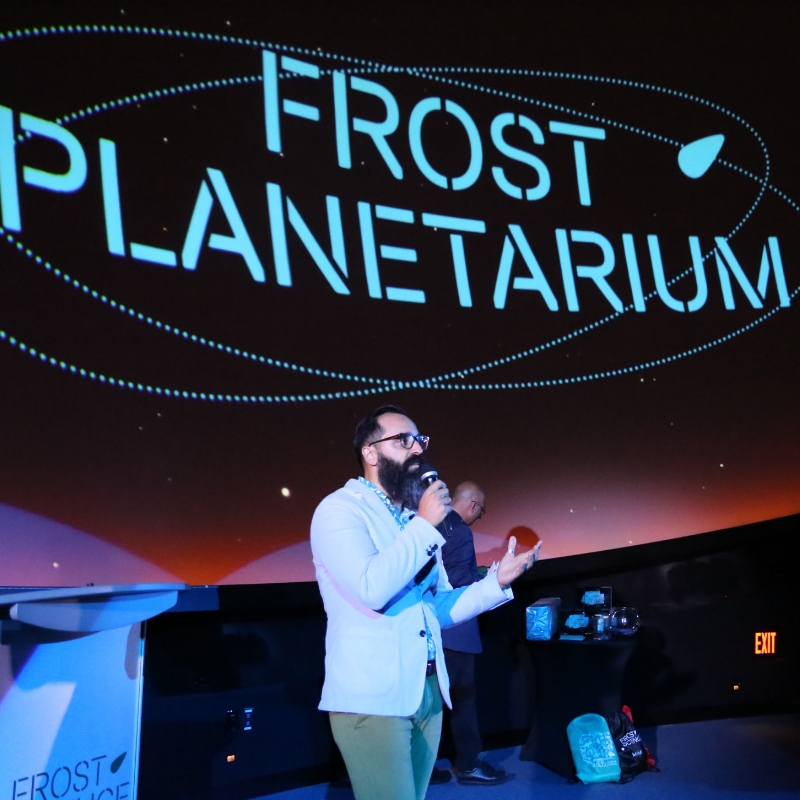 Whether you’re ready to pop the question or planning a special birthday greeting, say it in lights in the Frost Planetarium. Surprise your loved one with a customized message right before any of our daily shows, and follow up the sentiment with a fun day at the museum! 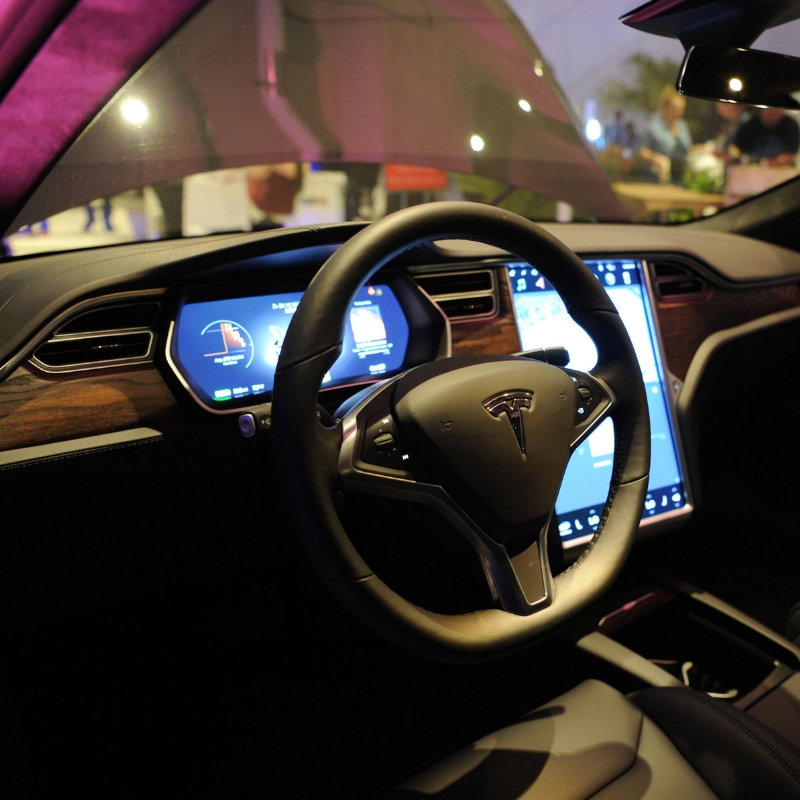 You may arrange to prepay parking for your guests or enhance your event experience with valet service. 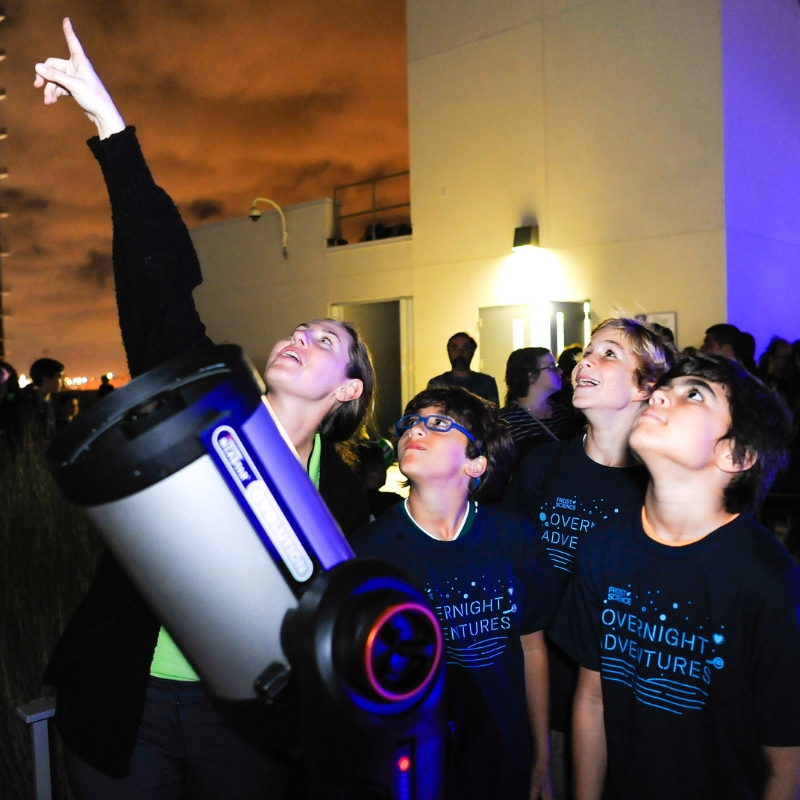 Kick off your event with a look at the stars on the rooftop Observation Deck for a telescope powered view of the night sky (weather permitting). from the Science Store. Custom gifts available upon request.